It’s been roughly 10 years since avid animal lover Jenn Harris began her mobile pet grooming business while also occasionally rescuing cats and dogs from kill shelters and working to get them adopted. Business has grown since then, and The Zuri Pet Spa & Resort now has a physical location on Calle Perfecto, where dogs go to get groomed, trained and boarded. Harris’ rescue efforts have grown in pace with the growth of her business. 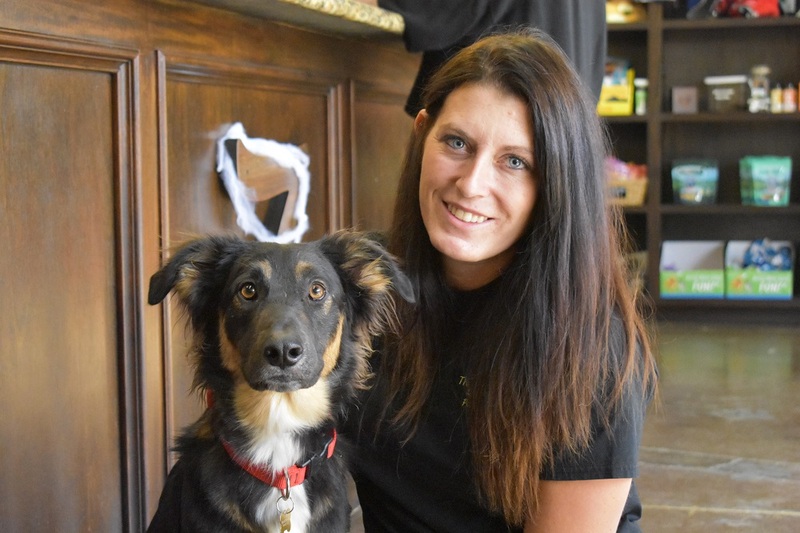 She has established a nonprofit, The Zuri Pet Rescue, inside the same building, and said she rescues and adopts out anywhere from 100 to 200 animals a year. She will be holding her third annual fundraiser on Sunday, Oct. 28 to support the operation. It will take place from 4-8 p.m. at 29222 Rancho Viejo Road in San Juan Capistrano. “It’s just going to be a fun event for all of our supporters to get together, eat together, talk about the rescue work we’ve done this past year and what we want to do moving forward,” Harris said. Harris said visitors to the event will get dinner and receive a raffle ticket for the cost of $20 admission. There will be food trucks on site, including Buqqa and The Cut. The James Kelly Band will be performing. Harris said the fundraiser helps with such costs as spaying and neutering, vaccines, medical treatment and with the rescue process in general. Harris said there are often challenges in rescuing the animals and trying to get them adopted; some have suffered trauma or injuries, and it can take some work by volunteers to help them. She said the end result is what makes the process worthwhile. Harris said one example was a German shepherd mix, Bardi, who was extremely shy and somewhat scared of people when he was first rescued. Now adopted, Bardi frequently returns for doggie daycare at the center and is a bundle of energy. On a recent weekday, he could be seen eagerly approaching volunteers and wagging his tail. “To rescue this scared little dog that was afraid of everything to running through the door and meeting with everybody and playing with other dogs and having a happy life, I think that’s the most rewarding,” Harris said. Harris said her organization has a deal in place with people who adopt, so that if things change and they can no longer care for their dog or cat, they must bring it back to Zuri Pet Rescue. Though her rescue operation has already grown quite a bit, Harris said she is hoping to see it grow even more. “I would love to expand the rest of the building and make that side of it the rescue and just make it a center where people can come volunteer, adopt out, be really involved in the dogs’ lives throughout the whole process,” she said.